We have found it… one of the best articles in the world! WebMD recently shared 14 reasons to eat more pasta (as if we needed another reason 😉). Check out a few of our favorites from the list below and read the full article at WebMD.com. It’s part of a good diet. Pasta is made from grain, one of the basic food groups in a healthy diet. Pasta makes you less hangry. It is very filling so it keeps you full for a long time. Pasta is versatile. It can be served as an appetizer, side dish, or the main course. It comes in a million shapes and sizes. Bow ties, shells, ribbons, tubes, ravioli, you get the idea! It can help you lose weight. Pasta has gotten a bad rap because of its carbohydrates. But research shows that carbs don’t keep you from losing weight — as long as you don’t overdo it. Ready to get your pasta on? We cannot wait to have you! Here’s a look at what’s on the menu. TAGLIOLINI Squid Ink: Mussels, Shrimp, Clams, Cherry Tomato, Parsley, Roasted Garlic, White Wine Sauce. RIGATONI Amatriciana: San Marzano Tomato, Onion, Chili, Pancetta, White Wine, Pecorino Cheese. 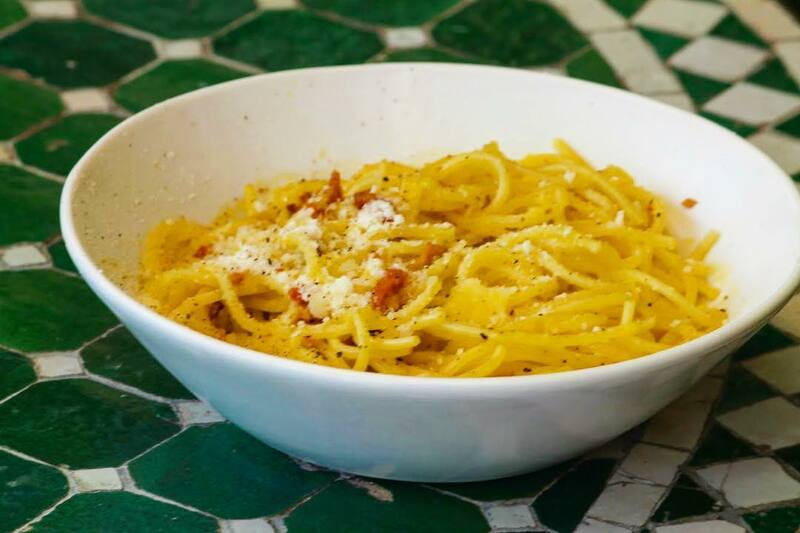 SPAGHETTI Carbonara: Creamy Sauce of Eggs, Italian Pancetta, Black Peppercorn, Pecorino Cheese. 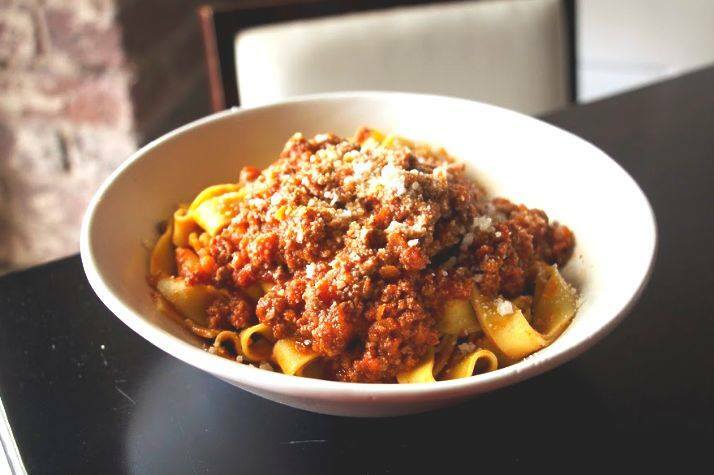 TAGLIATELLE Bolognese: House Made Fresh Egg Noodles, Ground Beef and Pork, Tomato Sauce, Reggiano. GNOCCHI Tartufo: Hand Made Potato Dumpling, Umbrian Black Truffle, Parmigiano Reggiano Cheese Sauce. LASAGNA: House Made Pasta, Ground Beef and Pork, San Marzano Tomato, Bescamella and Reggiano Sauce. RAVIOLI: House Made Ravioli Filled with Ricotta Cheese and Spinach, Parmigiano, Cream, and Sage Sauce. We cannot wait to have you! Make a reservation to come see us soon.